Disaster Movies: The Cinema of Catastrophe – loudlatinlaughing – Euge! Euge! Research for a project I’m thinking about, or perhaps just because I’m interested in the 1970s disaster movie genre. Stephen Keane starts his exploration of disaster flicks with the earliest of cinema, saying the silent films from Italy lead the way (1908 + 1913 Last Days of Pompeii, 1910 Fall of Troy, 1912 Quo Vadis), where the visual spectacle even without sound showed the power of those images to translate across the world. Audiences watch rapt, safe in their cozy theaters, removed but entertained. 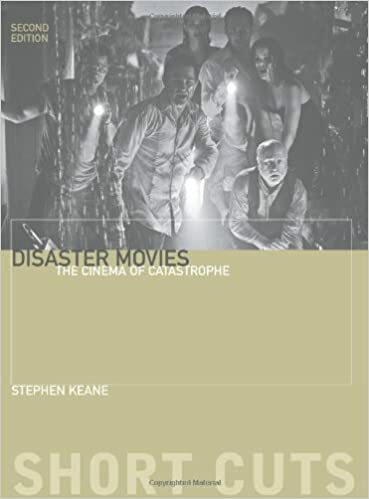 Keane makes the point that disaster movies are born out of times of “impending crisis,” the tension of what’s in the air helping to draw in audiences. Thus 1930s and 1950s were ripe, but Pearl Harbor and Hiroshima’s actuality crowded out the need for faked disaster. The movies in the 1970s brought disaster films into the present time (1930s was about the ancient epics/Biblical/Greek/Roman, 1950s about future with sci-fi). With the shift to present day, people more apt to believe it could happen to them. He relies heavily on analysis from Nick Roddick’s ‘Only the Stars Survive: Disaster Movies in the Seventies’ from 1980, quoting Roddick: “A sort of post-Watergate depression, a national inferiority complex after the Vietnam debacle, even a ‘bread and circuses’ attitude caused by ‘the erosion of democracy and the Western materialist way of living’…” as contributing to society’s need for these films. Another Roddick-ism is calling out the elemental forces at play: “the threats arise without exception from earth (Earthquake), air (Airport, Airport 1975, The Big Bus —which ends up hanging over a precipice, fire (The Towering Inferno, The Hindenburg) or water (The Poseidon Adventure, Juggernaut, Airport ’77).” I can think of an exception (Two-Minute Warning). Discussing Airport, Keane calls it “disaster as therapy” where the movie shows you the path to living a better life. Other points to consider: how traditional roles/patriarchy is used to reinforce middle class values; how religion is used. All disaster movies seem to follow the formula of using big name stars in their spectacle. It’s a shortcut for having the audience to feel something about the characters—they know Steve McQueen and Paul Newman as good guys already. There’s also a type of game audiences play when they see all the archetypes on display—which ones will die, which will survive. A bingo card of deaths awaits. I liked the call out of how today’s movies employ green screens but earlier ones meant you KNEW the actors had worked hard in those scenes. Also discussed: The Poseidon Adventure and Earthquake where apparently Walter Matthau had a cameo; he appears in the credits under his real name: Walter Matuschanskayasky and all he does through the film is drink toasts to film stars (need to rewatch this!). Disaster movies morphed into action movies in the 1980s (he does a nice segue with the Die Hard franchise) and then had a resurgence in the 1990s (Titanic, Independence Day, Armageddon, Volcano, Twister, etc. ).